My name is Hun Hem and I live in the Kampong Cham province in Cambodia. My wife and I have four lovely children and we provide for them by working in agriculture, but our income as farmers is highly dependent on environmental factors. 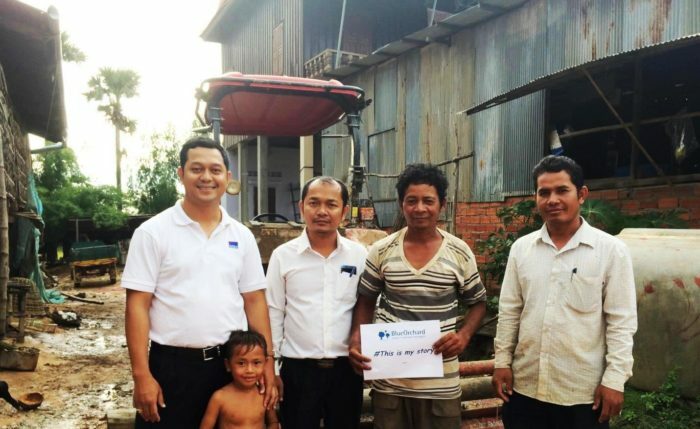 A few years ago, I obtained a two-year seasonal loan of USD 5,000 from LOLC (Cambodian microfinance institution) to buy land and expand my rice farming activity. Combining the loans with our personal savings, I was able to buy additional farmland, livestock and equipment. The expansion helped me increase my revenues from farming. In addition, the loan from LOLC also enabled me to support my children’s education up to university.